It’s time to open the the next window of our calender, we are approaching the twelve days of Christmas and today we bring you… Chinyee! 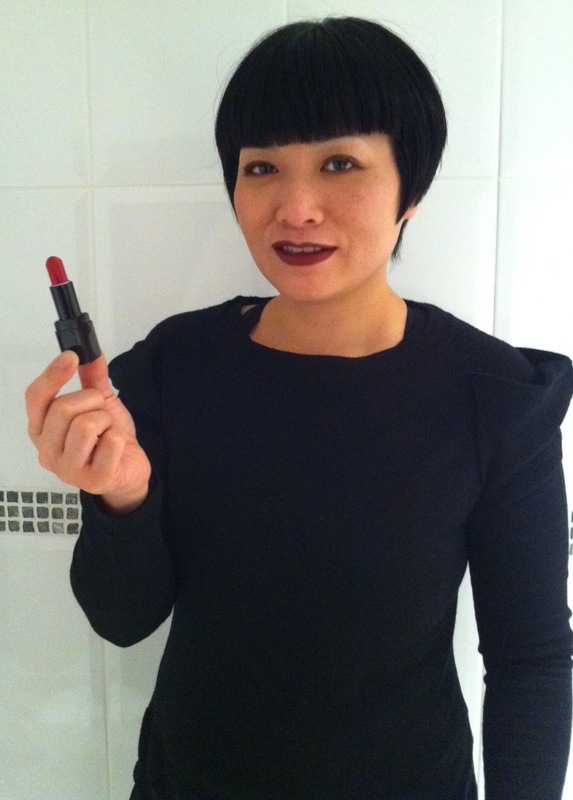 I am the School of Make-Up Art Manager, based at the flagship store in Beak Street. I manage the day-to-day running of the school and course bookings. I love speaking to potential students, advising them to select the right courses that suit their needs and nurturing them through their career in make-up. There are so many, it’s difficult to choose just one. The products last all day and are highly pigmented, what you see is what you get, which is rare with a lot of make-up on the market. I love the Skin Base Foundation, it’s the first liquid foundation I’ve converted to after years of not leaving the house without powder foundation! Masquara in Raven is a must-have that’s great on oriental lashes. Lipstick in Salacious is the perfect red for any age! 2011 at Illamasqua has flown by – I joined Illamasqua towards the end of 2010 and one of my constant highlights is that we have no boundaries within this company – we’re able to experiment, live and learn. The innovation behind Illamasqua is also a highlight and was showcased with ‘The Final Act of Self Expression’. Another highlight is working with our team, complete individuals with big personalities but strangely, quite similar and all share the same passions. For 2012, I’m looking forward to seeing the school grow with many more courses, more educators and more experimentation. It’s hard to say exactly what I’m looking forward to as Illamasqua is always full of surprises and that’s what makes the brand so intriguing.